As a possible probing attack, he has floated an idea for a sort of climate-focused Scopes Monkey Trial, a televised debate between climate change believers and sceptics. 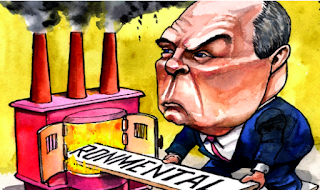 Yet he is also giving contrary signals, which suggest his opposition to climate regulation may be more selective than it seemed-- ...Mr Pruitt has recently sounded perfectly respectful towards the scientific consensus on global warming. There are three main explanations for this change. First, the scientific consensus on global warming has hardened, making blanket opposition to it harder to maintain...a hapless effort to scrap the endangerment finding, which would invite a backlash from the next Democratic administration. By one projection, the EPA will cut its 15,000 strong staff in half by 2020. 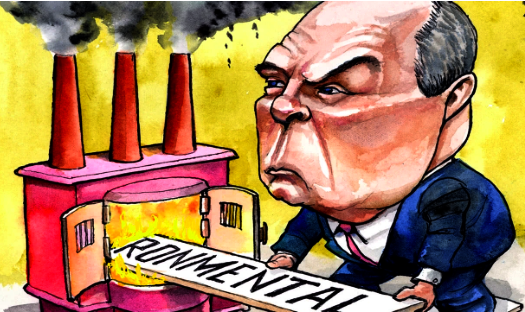 An EPA official describes this approach as “salting the Earth, not burning the place down.” That is hardly reassuring, considering the environmental vandalism Mr Pruitt is doing, and the vandalism to America’s Enlightenment traditions he represents." WHAT A SWELL PLANET IT IS ! In 1880, a myopic Harvard graduate was almost killed galloping headlong into the captain of an opposing polo team. Given a telescope to gaze through as a convalescent pastime, Percival Lowell soon thought that he saw not just canals on Mars but greenery. He devoted himself to astronomy and founded an eponymous observatory in Flagstaff, Ariz. But much of what he sketched of Mars others could neither see nor photograph. In 1976 NASA's Viking Lander revealed a panorama of desolation -- a world seemingly as dead as Lowell's reputation. Yet science often beggars fiction. A generation later, a whiff of embalming fluid may herald the discovery of life on Mars. Last year, a flood of purple prose about water as the cradle of life on the Red Planet flowed from the Opportunity probe's discovery that Mars's saline sands were once as damp as the underside of a walrus. This year, a satellite orbiting the planet has found evidence of an equator once carpeted by ice floes and a recently active geyser. Things have gotten a lot more colorful too. 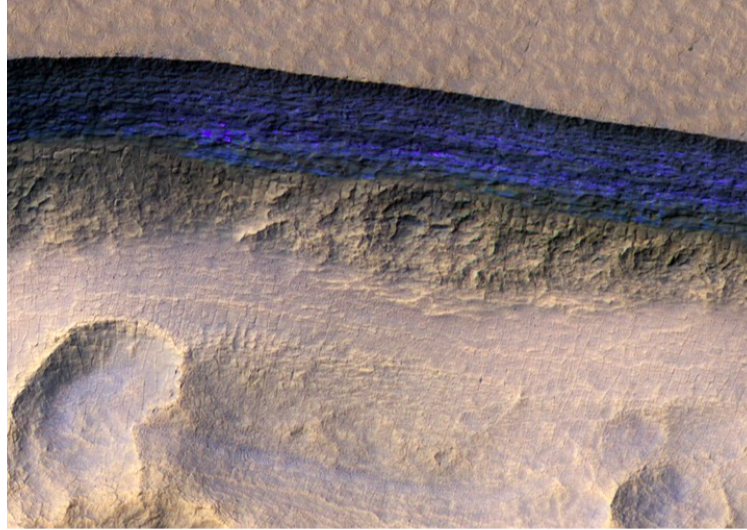 Beyond hematite blueberries and green vitriol on the surface, the spectrum of the Martian atmosphere shows inklings of organic complexity. Earthbound telescopes have found more than inklings. There is, it now appears, formaldehyde along with methane -- i.e., coal gas -- in Mars's tenuous air. This is a big deal because they exist in equilibrium, a discovery rich with vital implications. Oxygen and sunlight turn methane into the deadly preservative, but because Mars lacks an ozone layer, the pungent formaldehyde molecules are soon zapped out of existence by ultraviolet rays. The solar wind is blasting methane off the top of the Martian stratosphere, too, so the megatons of formaldehyde in the Martian air imply a constant infusion of fresh methane. So what? Some geophysicists insist that methane on Earth arises from inorganic sources (e.g., carbide minerals), not just from life (either end of a cow) and its decay (coal). But unlike the tectonically vigorous Earth, Mars's effete geology lacks a crustal conveyor belt to exhume gases from its depths. Absent such upheaval, Occam's razor cuts in: The alternative methane source is life. Ah, life on Mars! We've heard that one before. Few other potential tourist destinations have offered so wide a range of speculation. 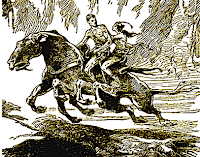 Edgar Rice Burroughs, better known for Tarzan, tipped his hat to Trollope by portraying Mars as hunt country, where Confederate veteran John Carter encounters not little green men but 15-footers with four arms and an attitude. 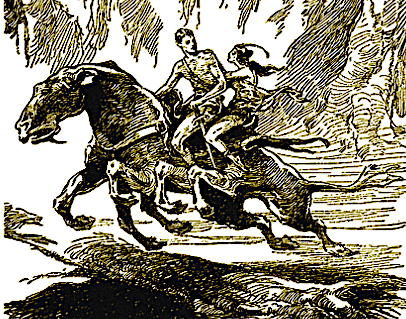 Before long he encounters red, white, and yellow Martians galloping astride eight-legged saber-toothed sloths, pursuing 10-legged foxes and maidens demurely attired in stainless-steel brassieres. 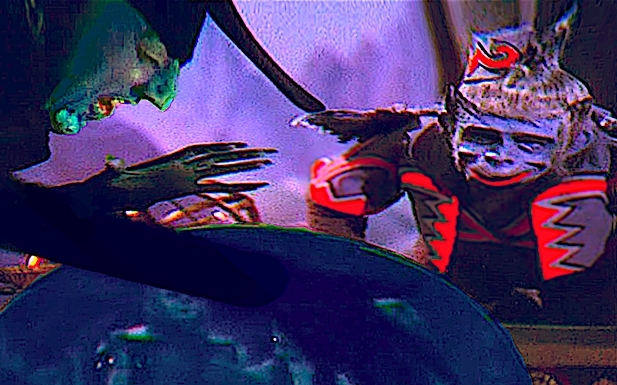 The high-water mark of Hollywood's Saturday serials was Flash Gordon's arrival on the Martian scene. Hot on the heels of Orson Welles's 1938 "War of the Worlds" broadcast came "Flash Gordon's Trip to Mars," whose hero kept fit by wrestling an octopus in the aquarium of Ming the Merciless, an art deco eco-terrorist who set the stage for Michael Crichton's latest technothriller by changing Earth's climate with a Nitron raygun. America loved it, and Cole Porter soon had Bing Crosby crooning: "Have you heard, it's in the stars, / Next July we collide with Mars?" Porter was off by 35 years, but eventually collide we did -- more space probes have crashed on Mars than landed. NASA's past failures to fish up Martian life may be due to random bad luck with landing sites -- one mile off a Palm Springs fairway, after all, and the landscape seems as sterile as Death Valley. Magnification matters, too. It's hard to overlook a cavalry of giant sloth, but bacteria are seriously small and often tucked into unattractive places. It makes one wonder what we may have missed. Bits of Mars are occasionally flung to Earth by impacting asteroids, ending up as the meteorites called shergottites. Reports of tiny fossils in one of them have not panned out, but the rocks match the isotopic composition of Mars so exactly that few doubt that they have been whacked into the inner solar system like golf balls of the gods. Plain-vanilla physics likewise dictates that bits of Earth have hit the Martian fairways over the eons too. One day, Earthmen on Mars may trip over alien-looking rocks from home. This is less peculiar than it sounds. Deep space is a hostile place, but precisely because it's cold out there, cosmic rays and the solar wind can take a long time to sterilize things flying through it. What if a hypervelocity impact on Earth sent not bits of dead dinosaur but some mineral-encased spores clear to Mars? If anything earthly got to Mars alive, it can have done only one of three things: lived long, prospered or died. If hardy critters from Earth's ecological skid row landed in Martian brine 10 or 10,000 eons ago -- bacteria that thrive in acid hot springs, for instance, or Antarctic frost heaves -- it's bad news for Carl Sagan fans today. What will become of funding for the SETI project -- searching for extraterrestrial intelligence -- if we meet the aliens and they is us? Or us is them? It would be nice to have some evidence either way. A few strenuous years could see the dispatch of some purpose-built probes to solve the conundrum. Recent Mars-destined instruments have focused not on life but on rocks, and you can't do molecular biology with a geologist's pick. NASA needs money enough to send several robots (in case one crashes as usual) carrying not Viking's Edsel-vintage life detectors but 21st-century mass spectrometers, biochips and glimmerings of artificial intelligence to run them. If this little fleet sniffs a shift in the light and heavy isotopes in the air, or notices DNA in whatever damp cavern it can drill into, it's even money that we will have to get used to having neighbors. But don't get your hopes up, B-movie fans. The odds against Martians sacking Grover's Mills, N.J. -- à la Orson Welles -- remain, well, astronomical. Think slime and you won't be disappointed.